I’ll admit it. 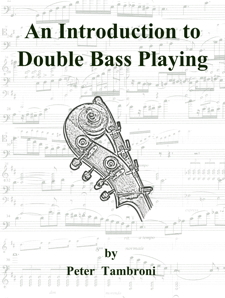 I’m not member of the International Society of Bassists or American String Teacher Association. Yep, I know. I was a member for years. I read the articles. I saved the journals. I checked out the websites. So what happened? The great articles about excerpt interpretations or useful techniques for teaching bow hands to beginners steadily reduced in quantity or were competely replaced. Instead I saw pictures. Lots of them. Pictures of their previous conferences. Pictures of seminar presenters. Picture of people having coffee at the conference. Instrument cases at the conferences. Fast forward an issue or two. Now I saw pages promoting the next conference. Pages on who will be at the upcoming conference. A call for presenters. A giant picture of the university where the conference will. Ads for the university. The cool logo or painting of an instrument on the brochure of the conference. Hey, promotion is great. We all know as musicians and teachers that we have to do it. But not at the expense of substance. The main course has to filling and nutritious even if the table cloth is fancy and frilly! So what would bring me back? What will encourage me to not think twice about the membership costs? I want to see 5 different interpretations of the Lt. Kije solo. I always need tips on helping my newly aspiring string players. Or how about some pages or worksheets I can copy and use with my students? And yes, I even want to know when and where the next conference is.